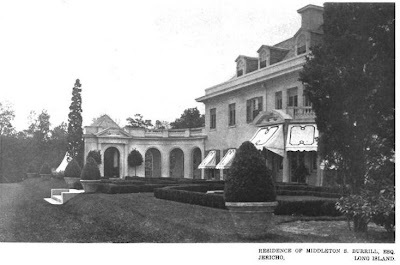 'Jericho Farm', the Middleton Schoolbred Burrill estate designed by John Russell Pope c. 1906 in Jericho. 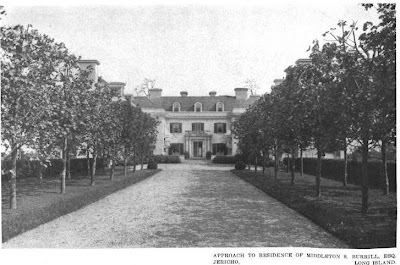 The estate was one of the largest, consisting of close to 1,000 acres. 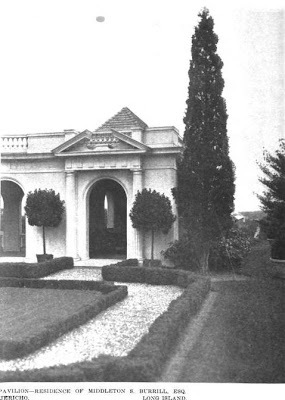 Burrill was an attorney with the firm Burrill, Zabriskie and Burrill. His roots in America go back quite some time, his obituary says that his earliest American ancestor, George Burrill, settled in Lynn, Massachusetts in 1630. He was also related to a signer of the Declaration of Independence. 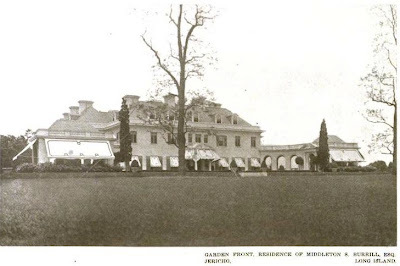 In 1953 the estate became the Meadow Brook Country Club with the residence serving as the clubhouse. Click HERE to see 'Jericho Farm' on google earth. I'm not entirely certain about those Hôtel Ritz-type awnings. 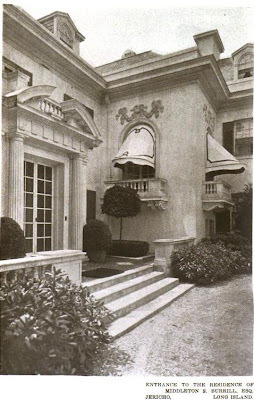 My only objection to the awnings is that the arched openings of the end pavilions would have looked better with separate round-head awnings instead of the one huge shed-like awning. But awnings are relatively temporary and usually add a nice humanizing touch to formal houses.